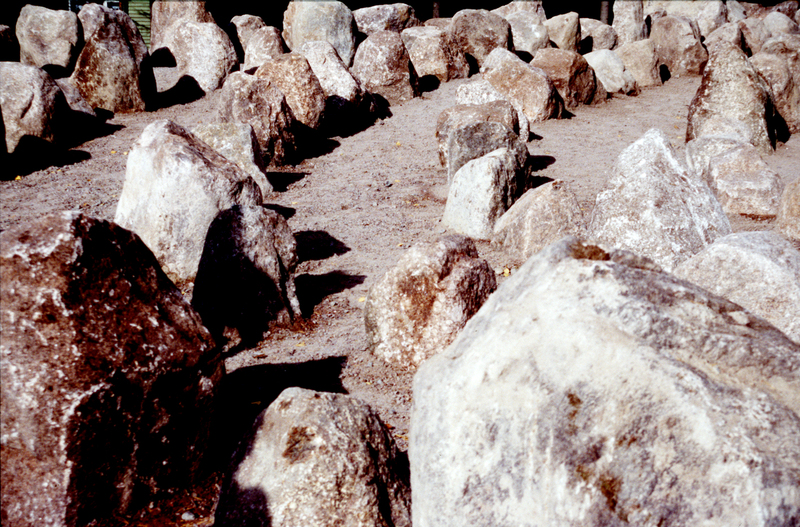 Large Stone Labyrinth. This Public Art piece was commissioned by Kotkan Energia for their windmill park. It was built in the summer 1997 in a large recreational park area by the sea. 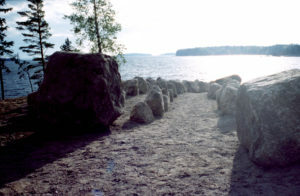 The labyrinth is 40 x 30 meters in diameter and it is shaped in the form of a traditional “Jatulin tarha” stone formation sometimes found on the sea shore. Every stone was chosen separately and brought to the site in collaboration with a local excavator driver, the building took two weeks of intense daily hours.